Tea time anyone? Need a dairy-free recipe? 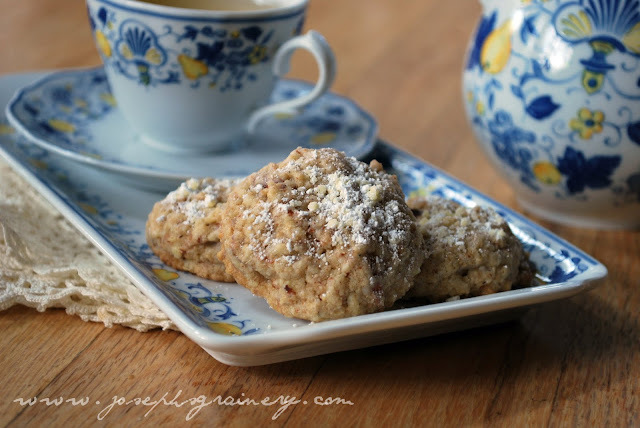 These Almond Tea Cookies made with Joseph's Grainery Whole Grain Cookie Mix Base fit the bill perfectly. MaMa and I made these when some friends came over and all of us kids enjoyed them as a sweet treat too. 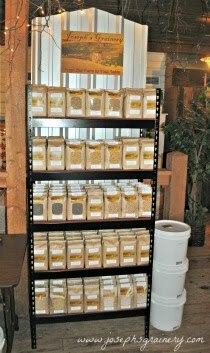 Talk about a yummy way to get us kids eating whole grains! Preheat your oven to 325 degrees. Cream together the margarine and sugar. Add the lemon juice and nutmeg, gradually add the cookie mix and ground almond until well combined. Using a cookie scoop, form the dough into balls and place on a greased cookie sheet and bake for 12 to 14 minutes. Remove from the oven and let cool before sprinkling with powdered sugar.